Christi's Creative Crew: Pocketful of Sunshine!! 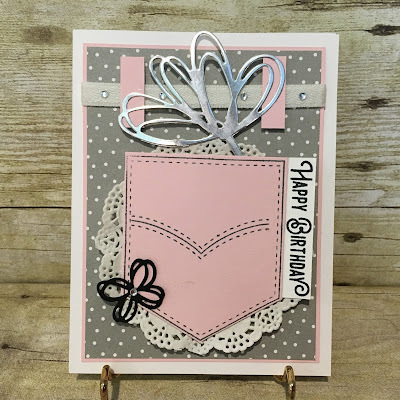 This cute little pocket just makes me smile and I am loving the color combo of Smoky Slate and Pink Pirouette. Creation credit goes to Jackie Aitken - thanks for letting me CASE your darling card!! Stamp Set: Pocketful of Sunshine bundle, Lift Me Up!